#62, 2018. Acrylic on canvas, 12 x 36 inches. 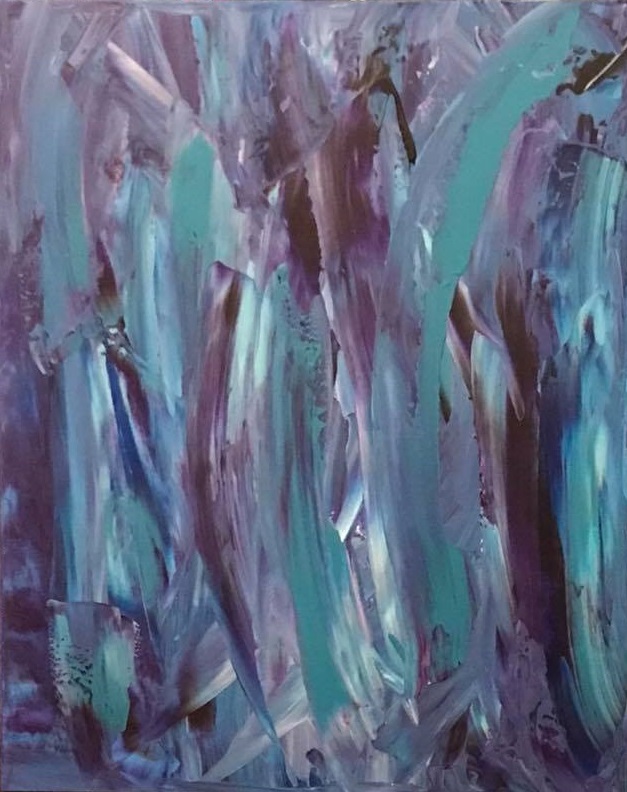 Reanna DiPaolo is a self-taught artist with a passion for bold colors, passionate movement within the artwork she creates, and expressing her emotions through art. #60, 2018. Acrylic on canvas, 30 x 48 inches. She works primarily in acrylic and canvas, and her work is largely abstract expressionism. She enjoys painting more than anything and is currently known for her abstract expressionist pieces that are raw, vibrant, and bold. Josh, 2017. Acrylic on canvas, 48 x 60 inches. She is inspired by the colors of the artist Frida Kahlo, nature, past family trauma, music, and media; particularly books. Frustrated, 2018. Acrylic on canvas, 24 x 36 inches. From the small east Texas town of Crosby, she resides in Denton Texas for several years, She is now based in Frisco Texas. She is a recent MBA graduate. #61, 2018. Acrylic on canvas, 24 x 30 inches. Reanna DiPaolo has served as a collaborator and juror with Envisions Arts director and founder, Ginger Cochran, for numerous art exhibitions and projects throughout North Texas. 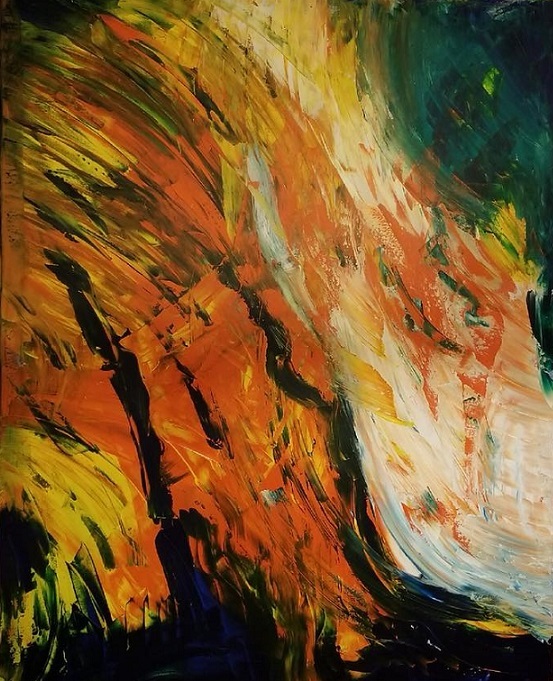 Explosion, 2018. Acrylic on canvas, 48 x 60 inches. To view more work from the artist, visit www.facebook.com/reanna.dipaolo.art. You can also follow the artist on Instagram @reanna142.